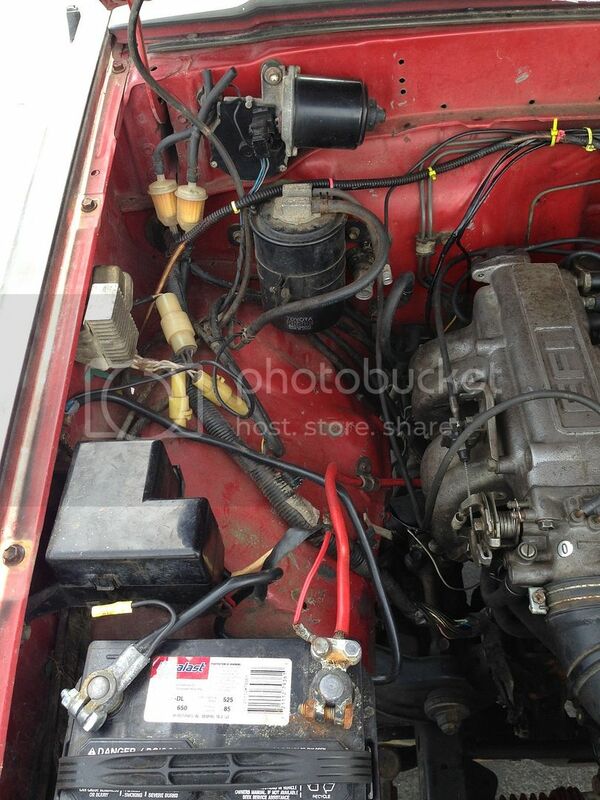 I recently bought a 88 Toyota pickup and just finished swapping the blown motor with another 22re. It has a hard start but does start and runs strong. My issue is while im driving. It feels like it has no power! I can floor it and it goes no where! It is throwing a CEL but I cant find the check connector anywhere! I set the timing with a light and by ear since I couldn't find the connector to jump it. Im sure the timing is off a bit but I feel like its a vacuum issue. If I turn the wheel all the way to one side, the truck shuts off. Don't worry about a vacuum problem until you fix (or verify) the timing. There is no need to chase your tail when you already know you have a problem that can cause a severe lack of engine power. Solve the major known problem first, then worry about the peripheral problems. 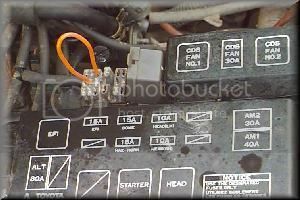 I found this via Google; if it's accurate it may be some help finding that service check connector. Thanks but my advise would be to drop a 1UZ in it. Seriously, He needs to run diagnostics first. Hard start is probably the engine the ecu engine temp sensor. I know I need to run diagnostics but like I said, I can't find that check connector. I've searched all over and it's nowhere to be found. It's not where it's suppose to be. I'll post a picture of the engine bay this afternoon. Hopefully I'm just missing it and someone can point it out. The check connector is suppose to be right next to the fuse box, correct? If that's the case, its obviously missing but where else could it be? Is it possible that someone could have removed it? Would the truck even run if it was removed? I just had one of these on here Friday, These things rarely die. Did you open that black box next to the battery and check inside? That looks exactly like the picture. Last edited by Somalia; 04-13-2015 at 12:37 PM. I did check the black box. this is what I contains.. 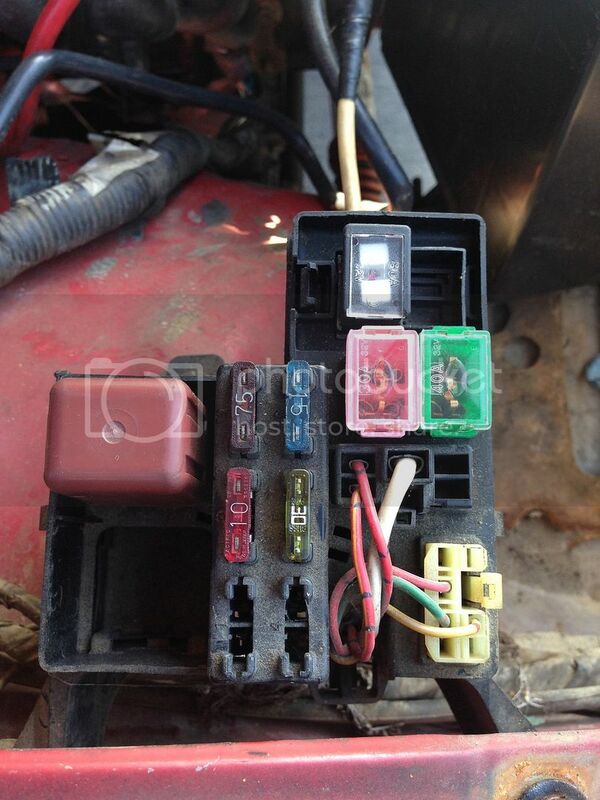 According to another forum, it should be the gray box outside of the fuse box, as pictured below. Ahhh...weird man. I wonder if you unplug the yellow connector and that's it.